I am sorry to say I have been a little behind on this announcement, but better late than never. 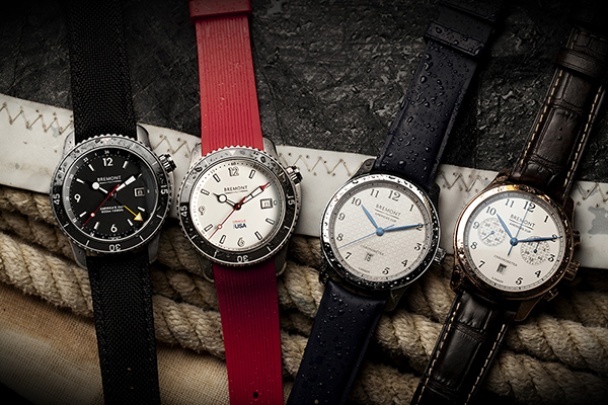 To celebrate their involvement with the America’s Cup Bremont have launch a special range of four commemorative watches. May 2015 saw Bremont announce a partnership with the America’s Cup Event Authority and ORACLE TEAM USA to be the Official Timing Partner of the 35th America’s Cup and ORACLE TEAM USA. As the first official British timing partner to the America’s Cup since 1851, Bremont has embarked on a very exciting project to produce a special edition series of timepieces to celebrate its involvement. Personally I am quiet tempted by the Oracle II …. Well what a shock, Alexandre Meerson suggested we meet up. As I am not one to pass up on an interesting chat I accepted. 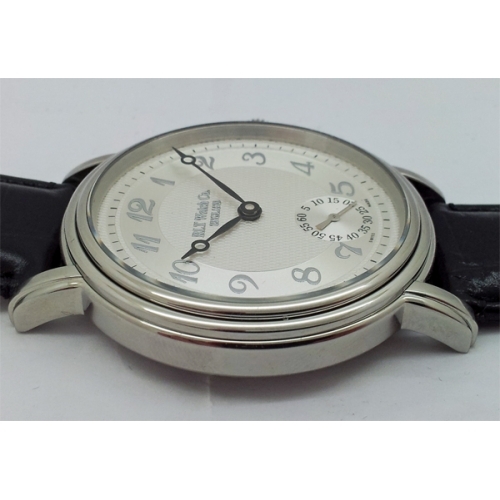 I have, I believe, expressed doubts about including Meerson in my blog dedicated to British watch brands. Each time I try to find a definition that is acceptable I find a brand that the definition does not suit. Well, I have decided just to go with the flow, I am making arbitrary inclusions. I liked Alexandre and I accept his commitment to a building his brand here in the UK. Like many of his countrymen he finds in the UK the “do it” attitude which is lacking in their homeland. Alexandre’s objective is to “define luxury for now” which means not falling back on tried and trust design formulae. Which I think you will agree this Altitude Premiere (below) does very successfully. I was surprised to find, that despite its size being for me already “large”, the watch wore really comfortably ( maybe I need to try one for an evening to confirm this 🙂 ). I was a little disappointed that I was not able try the new sports model the D15. Alexandre told me the only example they had was now in Australia on the wrist of a rugby player. The Meerson range is really individual and excellent quality. I wish them luck and hope they manage to find the few “appassionati” they will need to make their business a success. 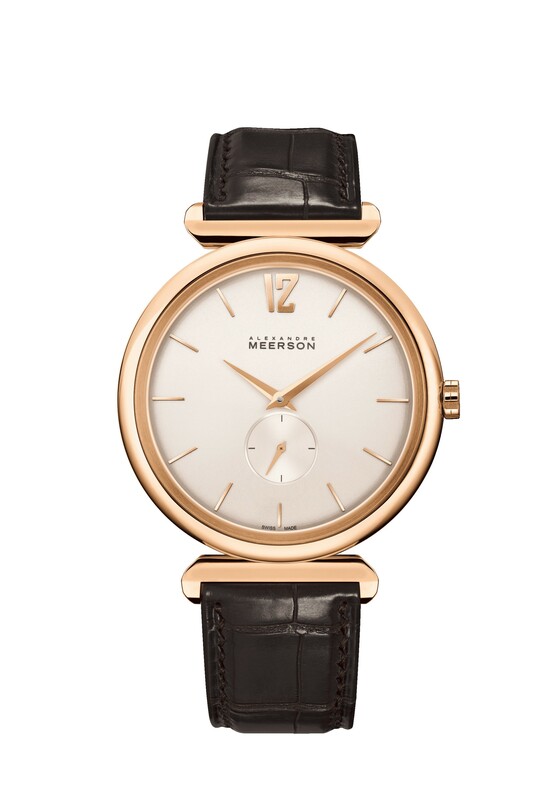 Here is a link to their website for more detail on the range, Meerson Watches . The list of “British” watch brands keeps getting longer. Every time I look I find another. Well I’ve just found two. The first RLT Watches would appear an honest attempt to market British watches at a reasonable price without relying on authenticity developed by brand strategists. Since 1987 they offer from their headquarters in Yorkshire a range of watches at very reasonable prices (£49 – £199) with a variety of quartz and mechanical movements. The second, The Camden Watch Company, comes from the opposite end of the “brand stategist spectrum” in so much as at first glance their company seems almost entirely marketing driven. On the plus side their watches are again at the reasonable end of the price scale starting at £69 and reaching £110. The range also includes some women’s watches. 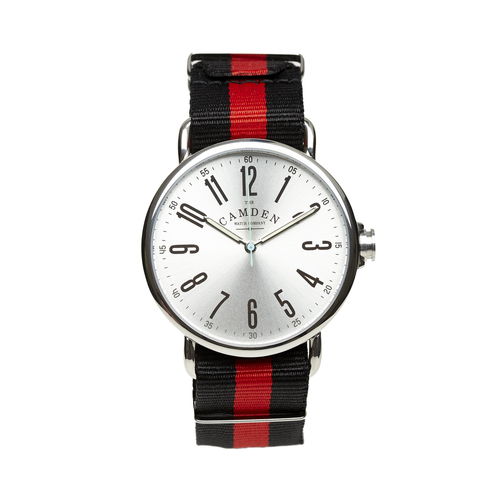 The watches are designed in Camden and manufactured in the Far East. Their “Britishness” being further enhanced, according to the website, by the fact packaging is hand-stamped, our displays are handmade in our HQ and all our guarantees are printed, stamped and folded in London. 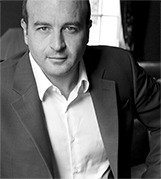 UK-based French watch entrepreneur Alexandre Meerson shows his fledgling brand is not just about dress watches. up: an angular but sporty GMT watch called the D15 MK-1. unconventional – but not too unconventional – design. (lugs being something of a speciality for Meerson). The watch is relatively slim even though its uses a modular movement. case-back displaying the movement is subtly curved. do at first make it look like one. The Meerson D15 is priced from £13,000. England might not instantly leap out as a natural ancestral home for a new watchmaking company, but for Garrick and its owner David Brailsford, the location of its centre of operations was never in question. Watchmaking has a rich historical connection with England, and back when the foundations of the science were being established, the city of London was at the forefront of technical innovation in horology, and it is upon that history that the Garrick Watch company was conceived. For a new company to cite such horlogic legends as Arnold, Mudge, Harrisson, Graham and Tompion as its inspiration is an eyebrow raising way to make an entrance, but the new Garrick Shaftesbury SM301 watch and the approach to its creation make for an impressive statement of intent. The Garrick Shaftesbury SM301 is a fresh and confident debut from the young London company, and its style and dial layout are very much in the classic vein, with gentle curvature, crisp legibility and elegant poise all themes throughout. It also has a lot of character too, and that becomes evident almost at once, as the eye begins to soak in subtle nuances such as the undulating decoration around the edge of the dial and the finely drilled slots which constitute the minutes, hours and seconds indices in the two steel chapter rings. The finely brushed rings hover slightly proud of the dial on their pedestals accentuated by three heat-blued screws, they cross paths either side of the 6 o’clock position to pleasant effect, where the dominant hours and minutes ring passes beneath the smaller off-centre seconds. Dials are offered in a choice between the classy lustre of oven-fired enamel in either black or white, or anodised aluminium, a malleable material which easily lends itself to colouration, thereby opening up a wider á la carte spectrum of personalisation options which Garrick will be happy to accommodate to the customer’s specific requirement. A handsome, gentleman’s watch, best suited to smart casual attire and above, the Garrick Shaftesbury is offered in a round 42mm polished stainless steel case with sapphire crystals to the front and rear, and a lovely compressed ‘onion’ crown. The sides are straight and tall, but round off gracefully as the bezel yields towards the expanse of glass above the dial. The lugs extend from the outer case profile, yet do not protrude far from the case, falling off abruptly at the tips. The buffed steel spear-tip hands are simple yet wholly complementary to the Shaftesbury’s distinguished demeanour. Flip it over to reveal the rear detail and the Shaftesbury impresses with an almost total vista of the Unitas 6498 NOS manual winding calibre which beats within. Garrick have taken this trusty 1950’s movement, favoured by among others Panerai and TAG Heuer in the past, and reduced it to its base components before gold plating and then reassembling using Garrick bridges, Cotes de Geneve stripes and their very own free sprung balance. A narrow squared lip around the edge of the caseback means that the entire spectacle can be appreciated without being obstructed with an overly intrusive rear bezel. 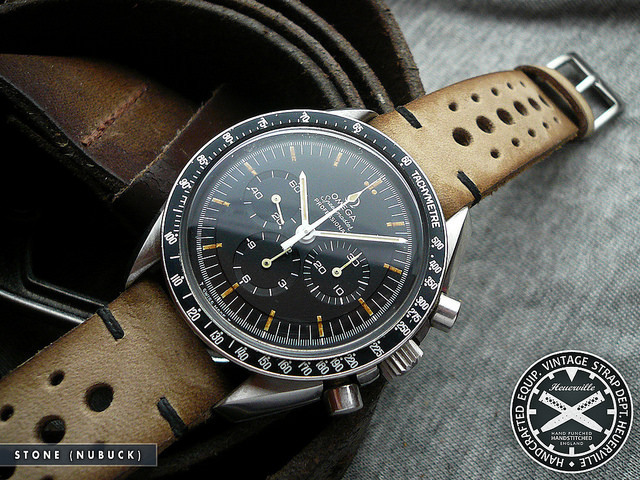 The Garrick Shaftesbury SM301 is presented on leather straps only, although the choice again is wide and varied. A tang buckle secures the watch to the wrist. Priced at £3,950 / € 5,350 Euro, it surely comes in at a very attractive price point for such exclusivity, and it is clear that every aspect of this fine watch has been carefully considered, even down to the cost, because with most of its peers costing a lot more, Garrick believe that while it’s all fair and good to sell a watch for £10,000, that kind of investment requires faith in a brand, and that faith takes time to cultivate. Another view is that there are few timepieces which represent small scale watchmaking available at that kind of money, so there again Garrick have another USP. With the Shaftesbury, Garrick have laid down a notable marker, and one which symbolises a brand which has its heart in the right place as it consolidates. The watch is refined, beautifully finished and earnestly constructed in England, and of course, where possible in-house. Angus Davies provides an in-depth review of the Garrick Hoxton sm302, available with a broad choice of dial options. However, it was the red dial option which provoked a reaction in this self-confessed grumpy 47 year-old. Middle-age sneaks up on the unsuspecting. I have become a grumpy 47 year-old, experiencing a sense of repeated irritation. Indeed, some aspects of modern life quite simply infuriate me. The world has seemingly gone mad. If I venture into a supermarket and wish to pay for my goods, I am suddenly expected to morph into a checkout assistant and scan my own shopping. Moreover, as an impatient queue assembles behind me, I have to try and pack my shopping. This in itself may not sound much of an issue, but the shopping bags provided are so thin they have merged into one homogenous fusion of polythene and, try as I might, I can’t separate them. Then, all of a sudden, my till displays a message enquiring of my age. Now I have to wait for human intervention, whilst the ever lengthening queue stares at me with a sense of disdain. I am clearly over 18 years of age and a bottle of Chianti does not constitute a matter of life and death, but automation dictates I now need to be inconvenienced further. The queue is getting longer and I could readily seek refuge in a case of Chianti such is the magnitude of my annoyance. Is it just me, or has the world gone mad? Take aeroplanes, I can think of no other area in life where it is considered acceptable to shoehorn adults into seats which are unduly small. The airlines health and safety gurus have decided a reasonable precaution is to warn passengers of the potential risk of deep vein thrombosis. Exercises are described within the inflight magazine, accompanied with small pictures my myopically impaired eyes can barely decipher. However, should I wish to stand and stretch, mitigating the risk of clots forming in my arteries, my actions will be met with ‘the look’ from an angry air hostess who has a trolley to wheel down the aisle, laden with ‘tat’ no self-respecting sane person would ever really consider purchasing. Indeed, the very notion of customer service doesn’t exist at 30,000 feet. Should you show the merest of annoyance at the brusque service and rancid sandwich presented, you will be met with a strong rebuke. We now live in an age where disappointed customers are labelled potential air rage perpetrators. Don’t even dare complain unless you wish to be tasered. The introduction of speed cameras seems well intentioned. However, if you ever look at drivers on the M6 in rush hour, they are not looking ahead watching the road, they are transfixed on the needles of their speedometers, expending huge amounts of energy to ensure their average speed over a given distance does not stray a couple of miles per hour over the limit. With variable speed limits becoming de rigueur on our motorways, drivers panic as the prevailing maximum speed displayed on a sign is reduced by 10 miles per hour. All of a sudden the driver ahead performs a near emergency stop, anxiously fearing a further three points and resulting in numerous cars behind, swerving in his wake. Is it just me, or has the world gone mad? You get the idea! The fact is, many aspects of modern life make me angry. Wherever my eyes look there are elements of living in the modern world which irritate me, causing me to see red. However, whilst I saw red when first encountering a vibrantly hued Garrick Hoxton sm302, very different emotions came to the fore. This is a timepiece sporting a red dial which confers a striking appearance and justifies further discussion. 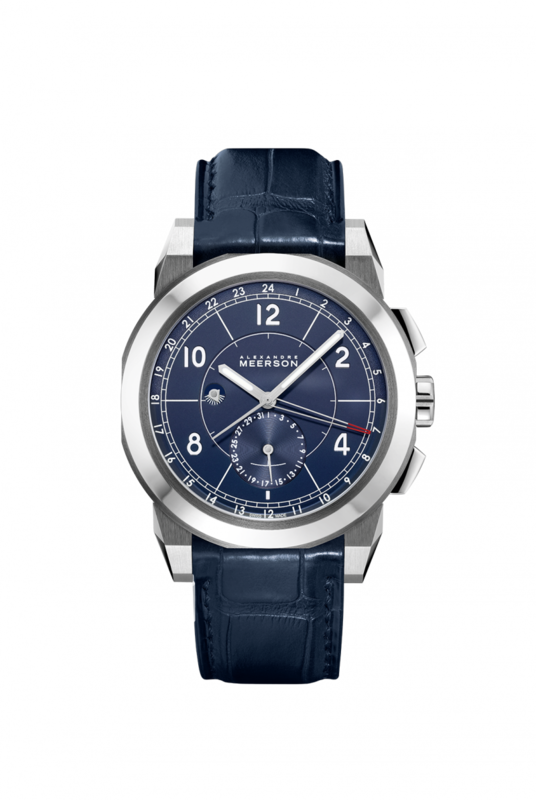 In 2014, Garrick launched its inaugural watch, the Shaftesbury sm301. This timepiece represented a departure from the norm. While I am accustomed to seeing watches in the sub £4000 segment being mass produced, by virtue of Garrick’s size, the sm301 is made on a one-man, one-watch basis, typical of manufacturing high-end wristwatches. 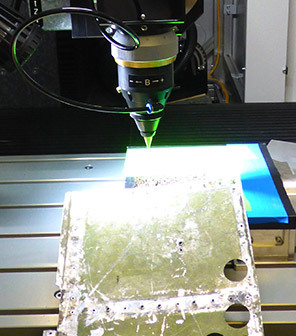 It is this low-volume production method which has allowed Garrick to incorporate its own in-house free-sprung balance. The inclusion of a free-sprung balance proves incredibly labour intensive, necessitating much effort on the part of the watchmaker to fettle the balance wheel to run to the specified +3 seconds per day. Recently, Garrick launched its second, simpler timepiece, the Hoxton sm302. While this watch does not include a free-sprung balance, which is reflected in the price, this model loses none of the hand craftsmanship and aesthetic allure of its older, costlier sibling, the Shaftesbury sm301. Recently, I had the good fortune to share a few calm weeks in the company of the new Hoxton sm302. The first aspect of this particular Hoxton sm302 to arrest my attention was the dial colour. It is a vivid shade of red with a wonderful metallic lustre to its surface. The dial is machined with a series of concentric circles populating the periphery of the dial area. I suspect for some readers, the ebullient colour scheme may prove a tad too conspicuous and they may prefer more subdued shades. There is no need to worry, Garrick offer an array of dial options suiting a broad range of would-be buyers. I must confess, the red dial option worked for me and proved incredibly versatile, matching an array of shirts and jumpers and provoking comment wherever I chose to wear the watch. Unlike the sm301, where the dial includes a small seconds display, the sm302 presents the hours and minutes alone. This succinct presentation of the prevailing hour represents a charming contradistinction to those dials proffered by some brands which seem at best rather ‘busy’ and in some cases, virtually impossible to read. No such affliction effects the sm302 which tastefully articulates time with seemly poise and absolute decorum. The hour and minute hands are produced in-house. Close examination reveals their hand crafted nature with small surface undulations on the recesses to the centre of each hand. They lack the homogeneity of mass produced stamped items typically used on mainstream brands. The resultant subtle nuances reveal a comely individuality which I appreciate, reaffirming this is a handmade watch. A stainless steel chapter ring sits atop the red dial surface and is retained with three thermally blued screws. I noted the screws were not recessed and enquired of David Brailsford, Managing Director of Garrick, what was the reason for this decision. His answer was clear and unequivocal, ‘We wanted the thermally blued screws to sit above the chapter ring, to engage with light more readily and for the screws to yield beautiful bluish purple shades in ambient light. By recessing the screws we would have lost much of this interplay with light and sacrificed the delightful depths we have achieved using the screws.’ Listening to Brailsford, everything suddenly made sense. The brands attention to detail is incredibly impressive, especially in a company which is still relatively small and young. I appreciated the polished case of the sm301 with its effervescent mien. 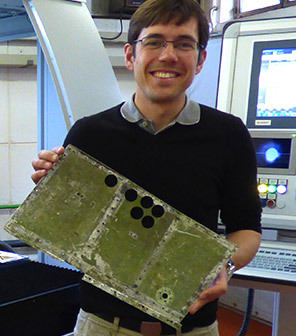 Simon Michlmayr and his team are masters of polishing and successfully infused the sm301 with an almost mirror-like gleam. However, with the sm302, the caseband is grained, adopting a gentler, calmer persona. Whilst I like the shiny flanks of the sm301, I favour the muted disposition of the younger, sm302. The 42mm case sits comfortably on the wrist and the crown does not impose its presence on the arm with unsightly red marks. This timepiece accords an agreeable fit which should appeal to a wide audience, avoiding the extremes of unduly small or excessively large, dimensions. An exhibition caseback reveals the inner psyche of the timepiece, with the finely decorated movement freely disclosed via one of the largest ‘widescreen’ sapphire crystal panes you are likely to encounter. Indeed, Garrick has utilised virtually all of the caseback to reveal as much of the movement as possible. Garrick used a hand-wound, ‘new old stock’ Unitas 6498.1 base movement on the sm301 and the sm302 repeats this formula. Where the movement of the sm302 differs from the sm301 is with the absence of a free-sprung balance. However, the sm302 uses a screwed balance which will appeal to many purists, myself included. Garrick has also elected to eschew the Geneva stripes found on the bridges of the sm301 and employ a frosted finish which I personally find fresh and eye-catching. The appearance of the bridges on the sm302 appearmodern when contrasted with the sm301, but confer a degree of originality which is very endearing. 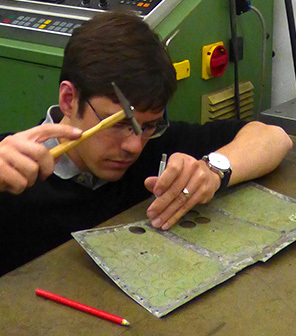 Traditional watchmaking crafts are still much in evidence, despite the modernity of the timepiece. The thermally blued screws are not mass produced in a large oven, but heated on a bed of brass filings to achieve the beautiful bluish purple hues. The red-faced Garrick Hoxton sm302 makes me smile. It disarms me with its unique appearance and charming details. Some elements exhibit modernity, which, unusually for me, lighten my mood. I cannot help being drawn towards many ingredients of this mouth watering horological proposition and feeling a sense that all is well with the world. It is refreshing to see British craftsmanship is still alive and well. Indeed, as a patriot and watch lover I can report, that for once, seeing red actually makes me happy. The future of Garrick looks assured if it continues to produce watches that display such breathtaking invention and skill. Case: stainless steel; diameter 42.00mm; height 12.50mm; water resistant to 10 bar (100 metres); sapphire crystal to front and caseback.